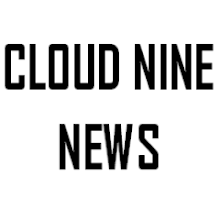 Cloud Nine News: "The Guide To Surviving Life" Cooper Barrett teaches us the highs andlows of post college life! "The Guide To Surviving Life" Cooper Barrett teaches us the highs andlows of post college life! Logline: THE GUIDE TO SURVIVING LIFE is a single camera comedy that celebrates the mistakes and misadventures we all make during the years after college, before settling down. This pilot development season was noteworthy for me because hardly any comedy projects sparked my interest. In previous years, there has always been one or two projects which I root for to have a series order. This year, there were none. However, this post-college comedy The Guide To Surviving Life came close. As someone who would soon be starting college, the prospect of a character giving other people avice on how to survive life after college appeald to me in the same way Reality Bites appealed to The X generation. Also, now that the project has been cast, the fresh faces and relative new-comers also makes the pilot all the more appealing. Judging by the trailer, it seems as though post-college life involves lots and lots of partying! and not much else. Well, I guess everyone's experience is different. Although, the show resembles a younger, PG-13 version of The Hangover which is sure to fit in with the other FOX sitcoms which feature flawed male characters at the centre (Last Man On Earth, Brooklyn Nine-Nine, New Girl). Although people love party-centric films about flawed and stunted males as they 'come-of-age' (like American Pie) I'm not fully convinced audiences will tune in each week to watch Cooper try to woo Kelly with his, quite frankly, annoying stereotypical, overly loud token black friend Barry who has a Cee Lo Green obsession, introverted Neal who doesn't fit in with the group or Cooper's older brother Josh who has been 'castrated' by his controlling and strict wife. A middle-aged married new father trying to recapture his youth might be fun for a single episode, but an entire series? I doubt it. 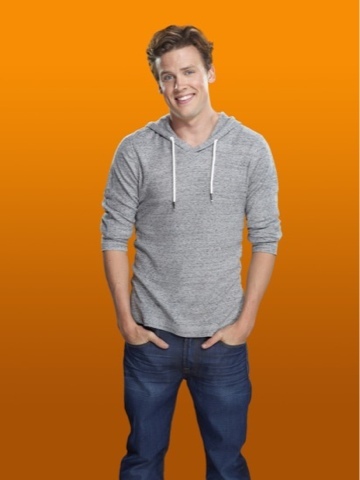 Justin Batha's drunk interview suggests he may in fact be perfect for his immature character while the casting of complete newcomer Jack Cutmore-Scott makes the pilot seem fresh. There are lots of potential stories for The Guide To Surviving Life. I don't recall the last time an ensemble comedy featuring twenty-somethings navigating through college aired on Network television. There was the underrated and underappreciated MTV dramedy Underemployed which only lasted one season. While Underemployed focused on the highs and lows of post-college life, Cooper Barrett focuses mostly on the highs. Hopefully, as the series progresses, humour can be found in the darker and more depressing aspects of life after college, like finding a well-paying job, moving into a nice apartment and being independent. My main worry with The Guide To Life however, is whether actual post-college aged twenty-somethings will watch the show. Television ratings have sharply declined over the years and less young people are watching TV (at least watching it live). Will there be enough viewers Cooper Barrett's age to tune into the show and actually resonate with the issues? The Guide To Surviving Life is a very fun show. The concept reminds of Good Luck Charlie. A cute, relatable lead who offers advice for the next generation. Hopefully the show will eventually move away from the partying and becomes more serious and authentic while always keeping the fun, coolness of the pilot. Hopefully, FOX gives this one a chance!